Osteoporosis is a disease in which the bones become fragile and brittle. Bones can fracture easily if they are afflicted with osteoporosis. Even a minor bump or fall can cause a serious fracture. Half of all women and one-third of men over 60 years old in Australia will have a fracture due to osteoporosis. Osteoporosis is a major cause of injury, long-term disability, and even death among older Australians. One fifth of people who suffer a hip fracture may likely die within six months. 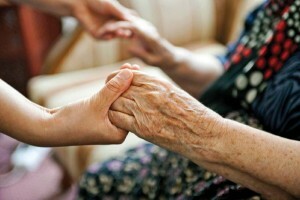 Of those who do not die, 50 percent will be unable to walk without help and just stay in their own homes. Some may even need full-time nursing care. Osteoporosis is often called a silent disease, as there are usually no signs or symptoms until someone has a fracture. Any bone can be affected but the most common are bones in the hip, spine, wrist, ribs, pelvis, and upper arm. These things affect how well bones form in early adulthood when your bones are at their strongest. After your 30’s, it is important to maintain bone strength and prevent bone loss. From about the age of 45 years, women may begin to lose bone at the rate of about 1-2% per year. This is because women’s bodies usually make less oestrogen at this age. After menopause, oestrogen levels keep decreasing, and this speeds up bone loss to about 2-4% per year, especially in the first 5-10 years after menopause. This stage of bone loss caused by menopause may last up to 15-20 years. All women lose bone mass at menopause. The amount varies, but some can lose as much as 30% of their bone mass during those years. If you have an early menopause for some reason, you will begin to lose bone mass at an earlier age. The male hormone, testosterone, does not decrease suddenly like oestrogen does in women during menopause. Instead, testosterone gradually decreases from about 50 years of age in men. However, men’s bone density tends to stay the same until they are much older. But after 75 years of age, both men and women lose more bone, especially in the hip. This is part of the ageing process. Risk factors for injuries and fractures caused by osteoporosis are similar in women and men. They include some things that you can change and some that you cannot. Long-term drug treatment with corticosteroids (such as prednisone). Preventing osteoporosis is important. Although there are treatments for osteoporosis, there is no cure. Having a balanced diet rich in calcium. For most people, 3 serves of dairy foods daily will provide enough calcium. Vitamin D to help the body absorb calcium. Vitamin D is in small amounts in foods such as dairy products fortified with vitamin D, egg yolks, saltwater fish, and margarine. The best source of vitamin D is from safe sunlight exposure. Weight-bearing, high impact and strengthening exercises (such as walking, tennis, dancing, and weight training). Having a bone density test, as appropriate. Asking your doctor if you need medication. Asking your doctor if any medicines you take may be causing bone loss.